I guess this makes three current year products opened up on Retail Review in a row... how exciting! This time I'm breaking a blaster of MVP. I'd have to say that MVP has changed a bit since it was last released as a full release. The base cards have suffered a bit, but the inserts and hits are better. I guess that's an ok trade-off though! I was not a fan of MVP when it was out a few years ago. MVP was a low-end, very limp product. 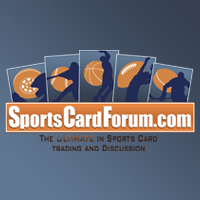 It's still low-end, but Upper Deck has improved the content of the product. As I mentioned, the base cards have come down in quality, but Upper Deck has improved the inserts and autographs in the product. They are exciting pulls if you can manage to get one. 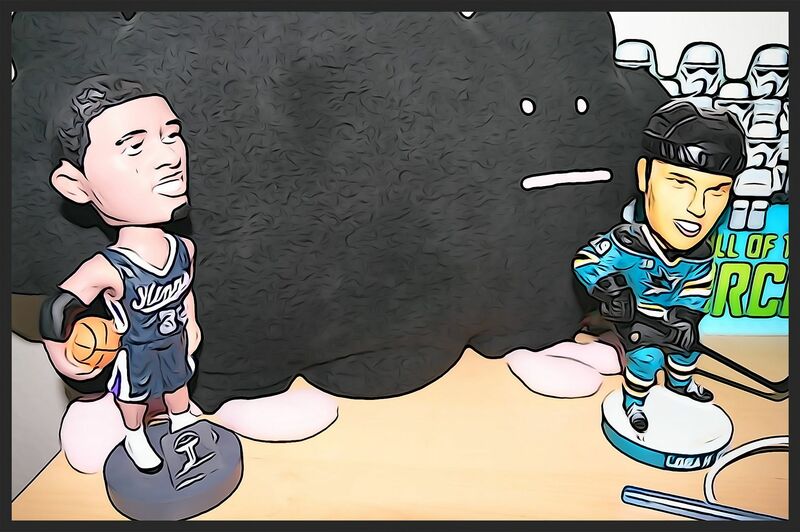 Getting a hit in retail MVP is no easy task. Since MVP is considered one of the lowest-end products, getting any sort of hit is extremely hard. Not impossible... but very unlikely. The printed price on these blasters is about $20. Waaaaaaay too much for what you get in it. Thankfully, online these little blasters can be found for less than half of that. And that's a price I'm willing to shell out for it. I wasn't expecting to get too much out of this blaster, and I didn't. But I did pull some nice inserts and parallel cards. The Silver Script cards are what the base cards should look like. 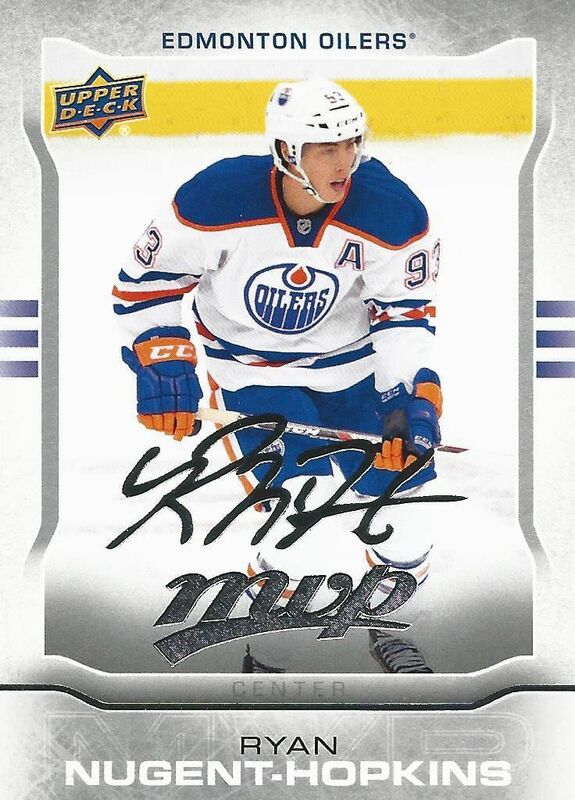 To differentiate MVP from something like Victory, I guess Upper Deck used to put the foil stamping on it. Now the base are on the same lines as what Victory was in terms of its quality. MVP has cards that feature multiple players on it. It makes sense as they represent the various stars of the week in the NHL. It's a fun concept, and brings out a facet of the season that usually doesn't get much attention... but for a card its not that exciting. 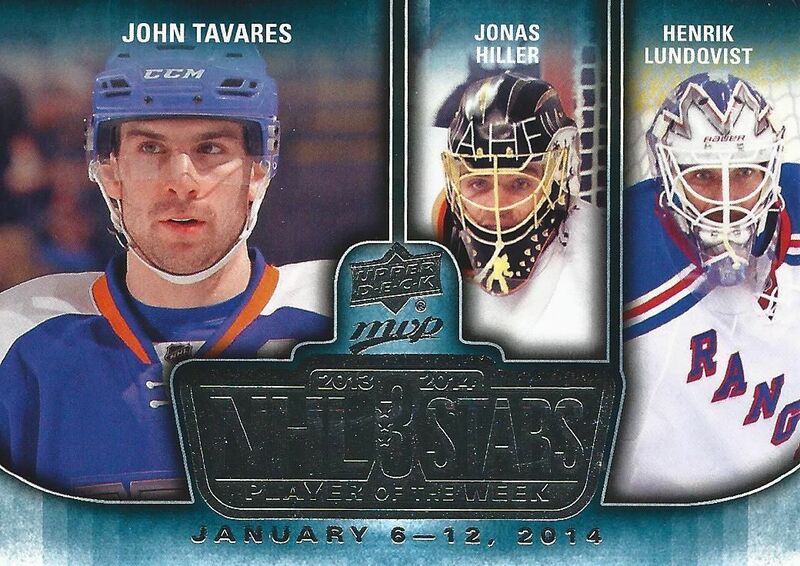 Of my NHL Stars cards, this one was my favorite because it had John Tavares on it as the main star. 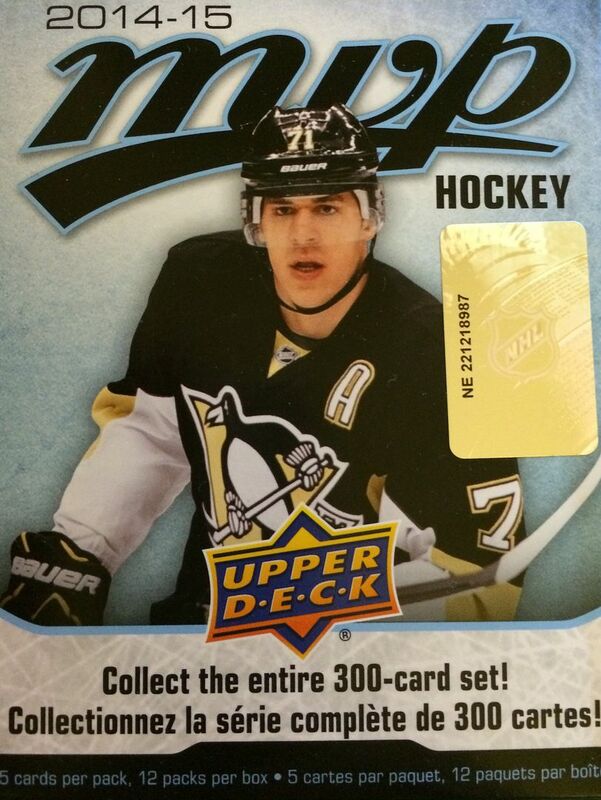 He takes up half the card where as Hiller and Lundqvist only get 25% of the card each. When RNH was a rookie, his cards were on fire. He has cooled considerably since his rookie year, but i still get a bit of excitement when I find a card of his. 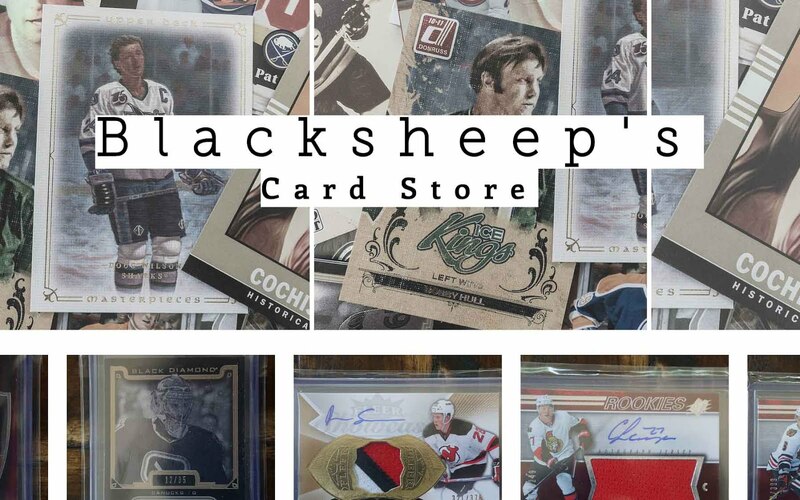 It wasn't that long ago that he was the buzz of the hockey card world! This Brodeur card was a very pleasant surprise in this blaster. 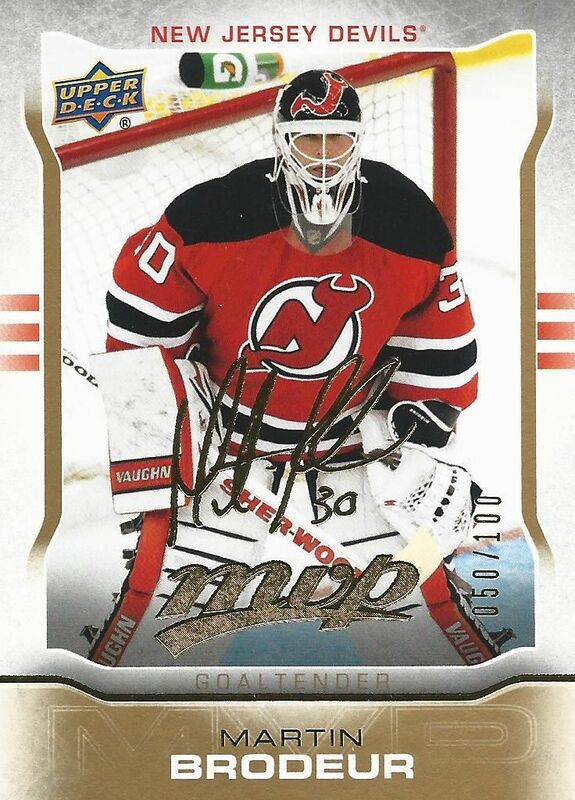 Gold Script inserts are one of the more popular card types in MVP, and to get a star like Brodeur is pretty nice. I like how these cards feature serial numbering on them. This particular card is numbered 50 out of 100. For under eight dollars I think this break was worth it. I would get another blaster of MVP at that price. It makes for a fun break that's a little different than UD1 or brands like that. Sure, it's low-end, but the cards are nice, and I think this product has some renewed life in it!